As part of the AstraZeneca Procurement ‘Way to the Top’ campaign, we were asked to convert one of the posters we had designed into an interactive Flash presentation. The original printed poster was A0 in size, so had a great deal of room for information. Due to the volume of copy, the Interactive Flash presentation was set to play full screen, to maximse the content area. 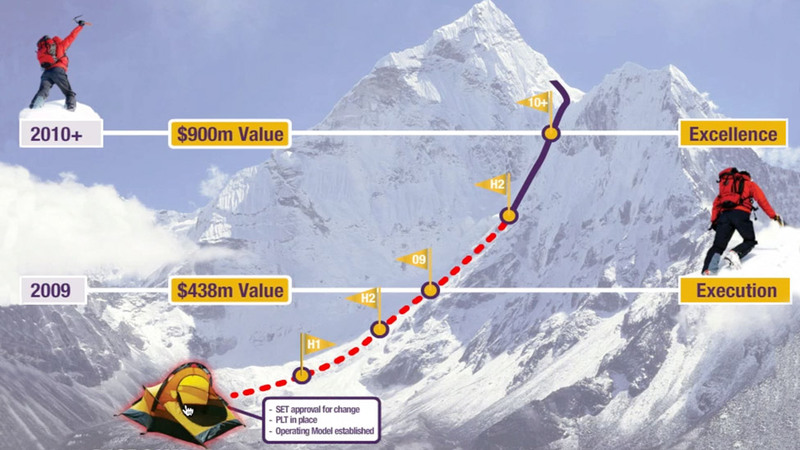 The design replicated the printed poster but, following the ‘Way to the Top’ theme, added clickable areas that animated and revealed hidden content rising higher up the mountain to the summit.